Tonsley Park south of Adelaide has had an association with the car industry for around 60 years. After buying the land in 1955 Chrysler Australia Limited built a huge new factory at Tonsley Park in 1962, moving from their factory in Keswick which they had outgrown - you can still see evidence of the original factory at the Le Cornu's furniture store today. 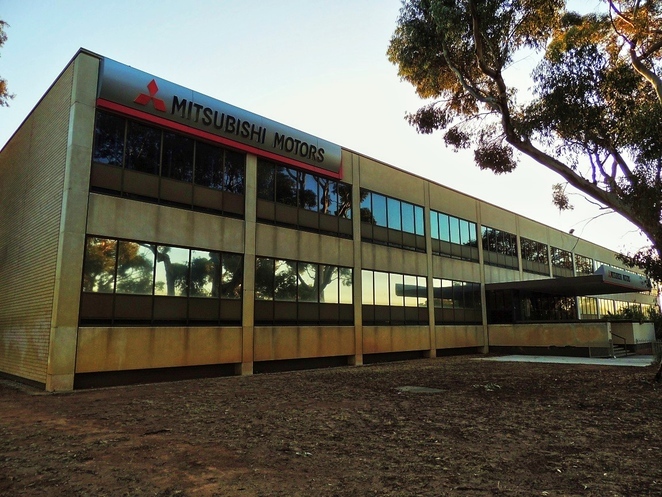 In 1980 the former Chrysler factory was taken over by Mitsubishi Motors Australia who produced cars there until 2008 when they decided to follow a full import strategy. The land has since been bought back by the South Australian Government, who have announced plans to re-develop the site into a collaborative and high-value industry, education and residential precinct. 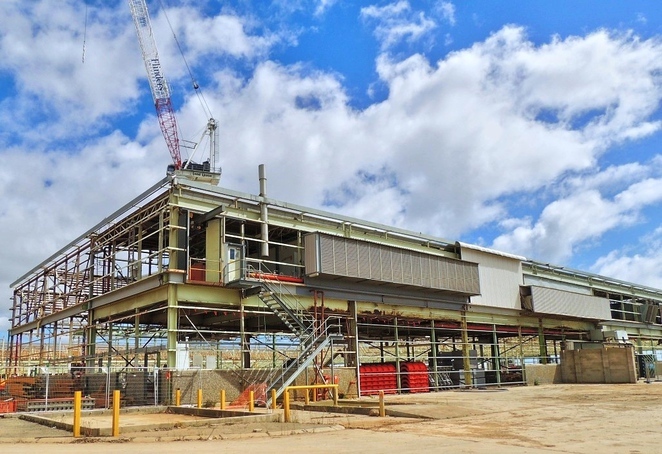 A new Tonsley TAFE has just been completed, a campus for Flinders University is under construction, the Tonsley railway line is being upgraded, and industrial and residential precincts are planned for development at the site. So what has happened since Mitsubishi departed? Let's put Tonsley under the microscope and see what Renewal SA and its partners are achieving. Prior to European settlement Tonsley was part of the traditional lands of the Kaurna people who used the Sturt River to travel between the Adelaide Hills and the coast. 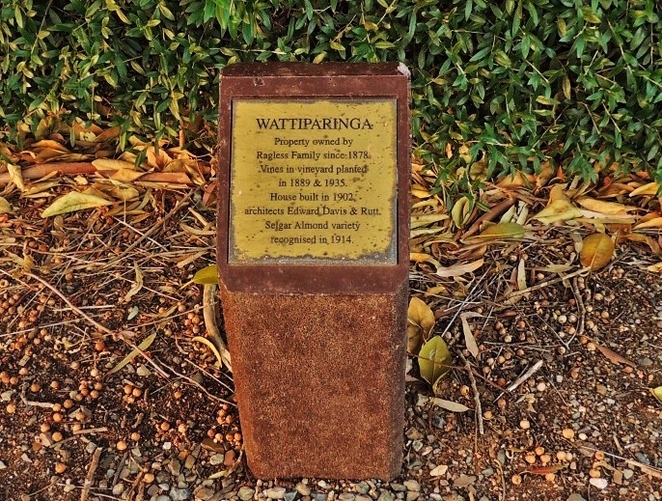 They would gather at nearby Warriparinga Reserve which was a place of great significance to them. In 1839 the land now known as Tonsley was purchased for farming by Henry Watts, and in 1868 sold again to Richard Ragless who called it Tonsley after Tonsley Hall in England. Ragless practiced mixed farming, growing wheat and other crops while keeping sheep, pigs, cows and horses. An orchard of seven acres contained a variety of fruit trees, and he established 20 acres of vines for table and wine grapes. Some of the vines still exist today at the northern end of Tonsley Park. For a time Ragless was neighbour to Benjamin Herschel Babbage - an engineer, explorer, surveyor and scientist who built the highly unusual Babbage's Castle in the area. After Richard Ragless died in 1901, his son Charles built a bluestone villa that he called Wattiparinga which still survives today. Charles was also a successful farmer and developed a new variety of almond called Selgar, the name derived from Ragless spelt backwards. Today the house and remainder of the the Ragless farm is on Selgar Avenue, just down the road from the Tonsley Hotel. 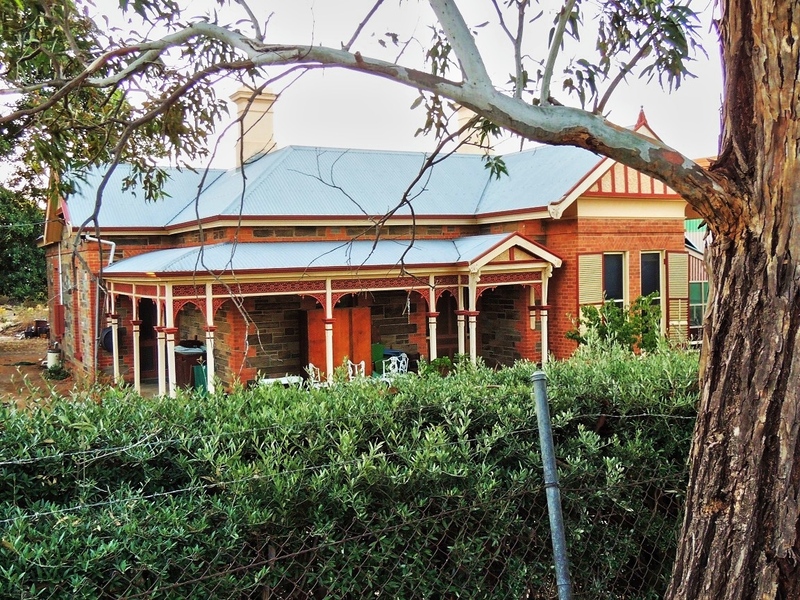 Another branch of the Ragless family farmed the main Tonsley estate until 1946 when the property was bequeathed to the Art Gallery of South Australia. 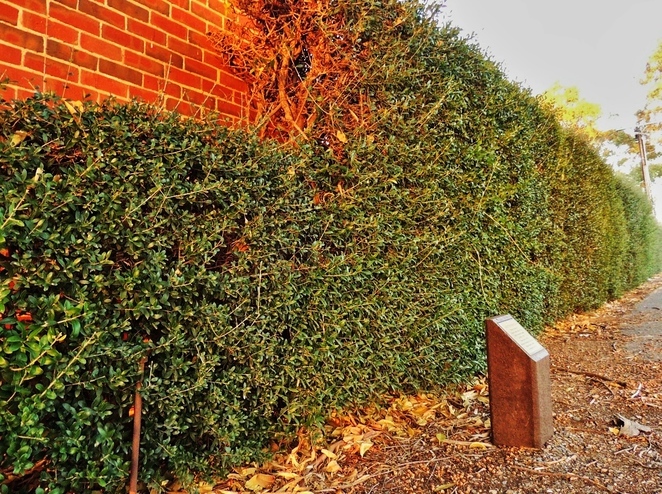 Ownership later passed to the Housing Trust and then in 1955 Chrysler Australia Limited acquired 180 acres. At the time it was still a rural area, with lots of trees and farming continuing widely in the area. For a fascinating and detailed look at Tonsley's history, see the Tonsley Cultural History Report. 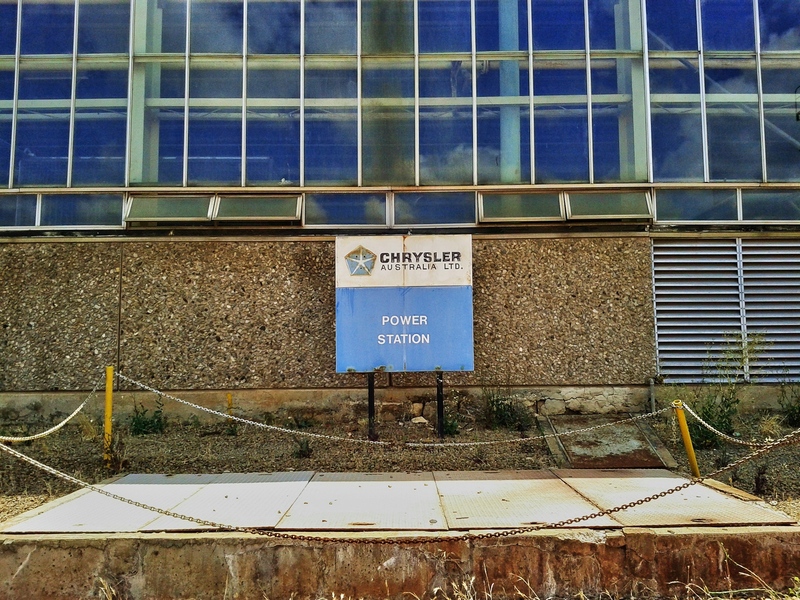 While Chrysler first established a motor parts and accessories division at Tonsley Park, an engine plant was then built in 1957. In 1963 the assembly plant was built, followed by the Lonsdale engine foundry in 1966. By 1979 Chrysler Australia Limited employed 7,500 people, but the arrival of Mitsubishi saw the workforce pared back to 3,800 employees. Mitsubishi continued to produce cars until 2003 when it was forced to withdraw from manufacturing in the local market. Even 35 years later there are still reminders of Chrysler's presence at Tonsley, such as a sign outside the power station building. 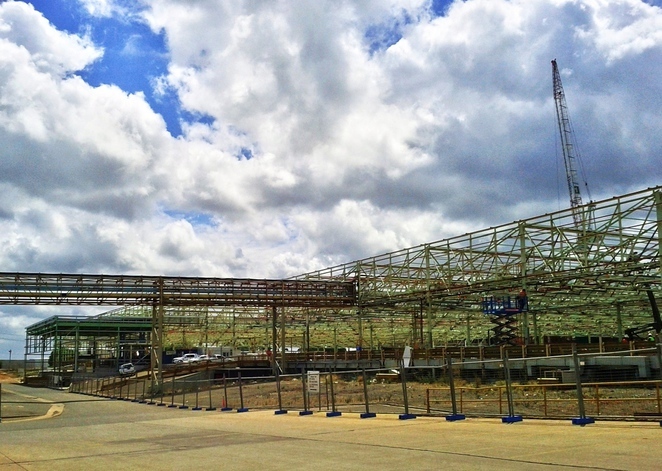 Many old buildings are being adapted for new purposes, such as the Main Assembly Building which has had asbestos removed and is being re-roofed. The former Mitsubishi Administration Building has been upgraded and is not surprisingly being reused as offices. 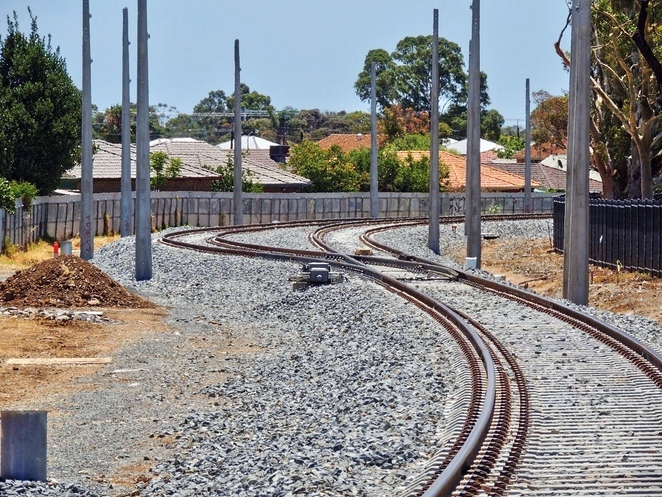 The 500 metre Mitsubishi high speed test track ran from the east and then curved south alongside the Tonsley railway line before ending at a water bath. 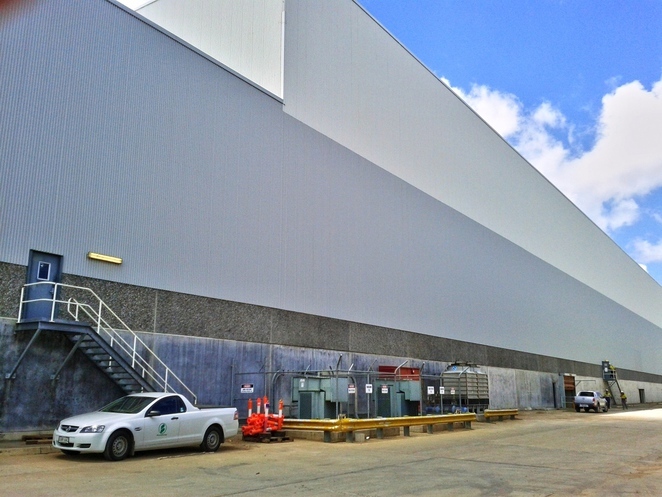 Once used for testing cars at up to 140 km/hour, this part of the plant is likely to become a housing development. A brand new Tonsley TAFE - the Sustainable Industries Education Centre (SIEC) has been built just south of the Mitsubishi Main Assembly Building, and it will become the central point for building and construction training in South Australia. During 2014 6,500 students will be enrolled at the new TAFE, allowing outdated campuses at Marleston, O'Halloran Hill and Panorama to be sold off. A public open day at Tonsley TAFE on Sunday February 23 will allow people to see the new state-of-the-art facilities and find out more about courses that will be offered. 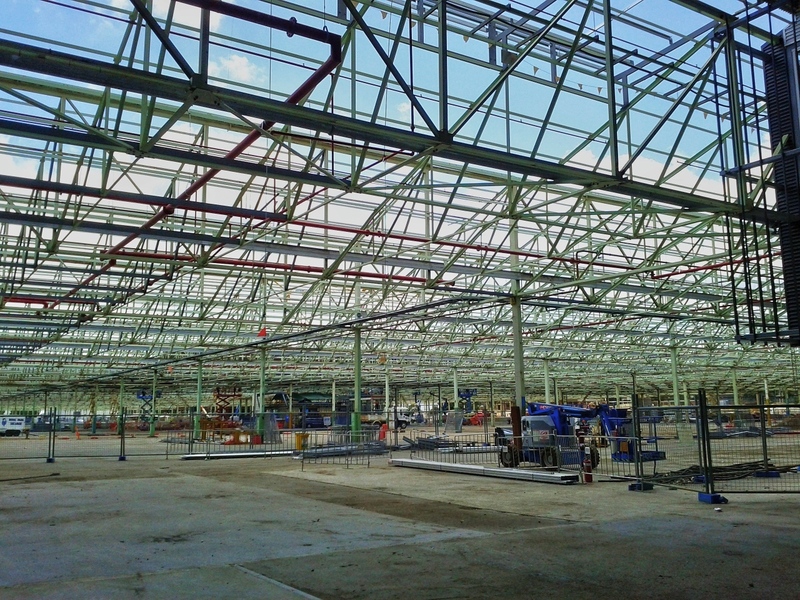 The $120 million Tonsley TAFE has been designed for energy efficiency and covers a space of 45,000 square metres. 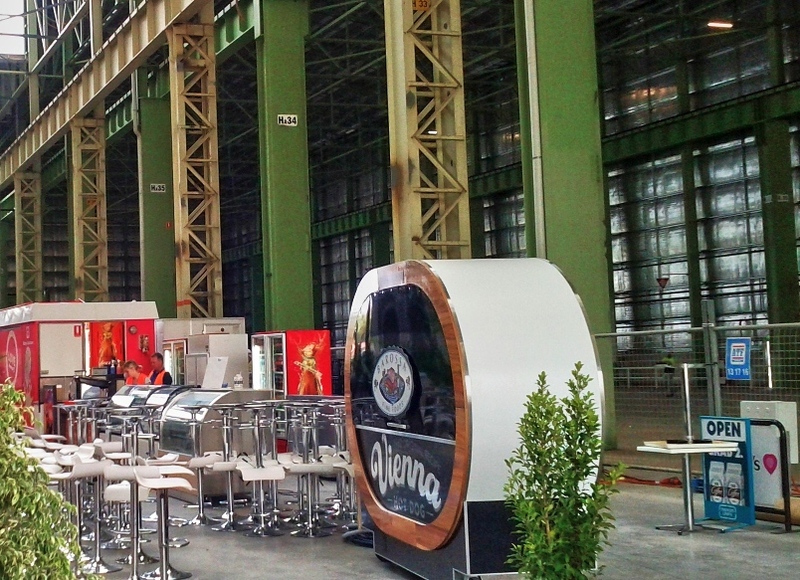 Much of the original building structure has been retained, and from the outside it still looks very much like a manufacturing facility. 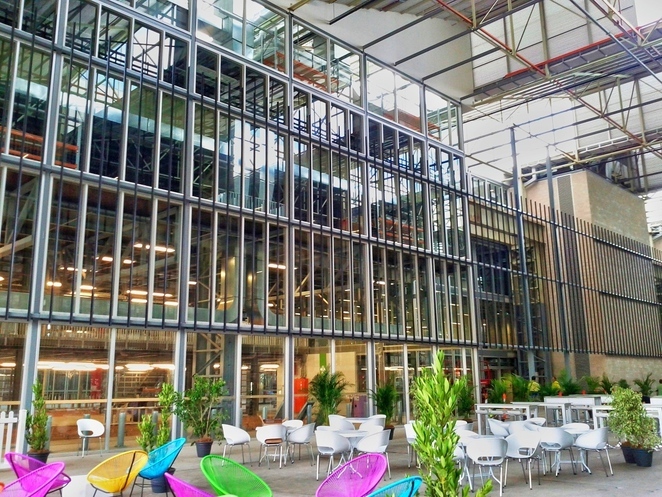 At the time of writing fit-out was not complete, but the TAFE atrium cafe area retains its industrial feel with services in the building on display as a reminder of the design and construction requirements of a functioning building. While writing this article I asked the Media Team at the Department of Further Education, Employment, Science and Technology whether construction at Tonsley TAFE was complete. I was surprised when (after waiting a week) they refused to answer that - or any other question - until after the official opening. It seems that election fever may have spread to the SA public service, but a polite reminder to the DFEEST Media Unit of their function was enough to resume the flow of some information. Those students fond of alcoholic beverages will no doubt find their proximity to the Tonsley Hotel quite comforting if they aren't happy with the gourmet hot dogs and iced coffee available from TAFE's cafe. 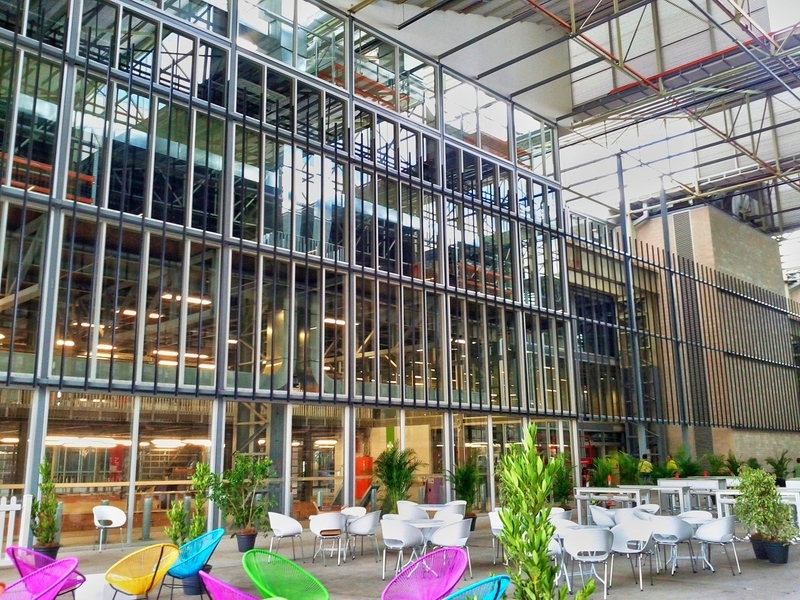 See this page at TAFE SA for more about Tonsley TAFE. In 2013 the State Government began work duplicating a section of the Tonsley line which was previously single track. 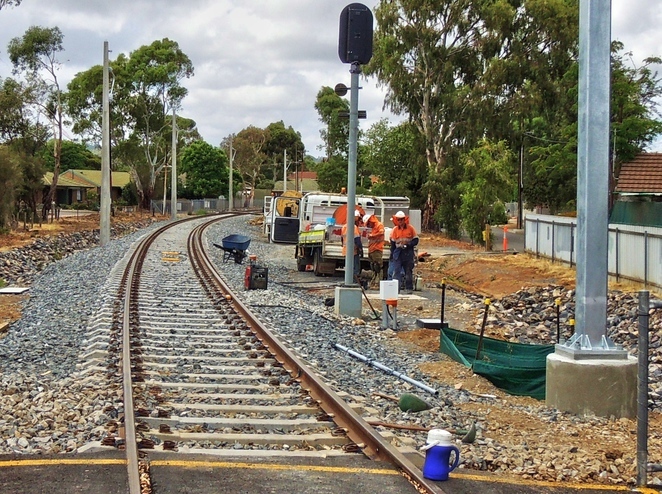 This will permit 4 trains per hour to run to Tonsley without blocking the main Seaford line, and electrification works are taking place also. The duplication works are expected to be completed soon and an announcement will be made about the timetables for the Tonsley service which will be integrated into the new Seaford line timetable. I expect 6,500 TAFE students will take some comfort in that announcement. The Media Manager's replies to my four other questions were equally inadequate and unhelpful. I realised that the only way to get a clear understanding of how taxpayer funds are making progress on the Tonsley railway line was to take my own photos. Any students planning to go to the new Tonsley TAFE will presumably need to make their way to college by bus or car, as clearly DPTI have no idea when the Tonsley railway line will open. The good news is that a 600 vehicle Park'n'Ride facility is now nearly complete, ready for whenever train services resume. 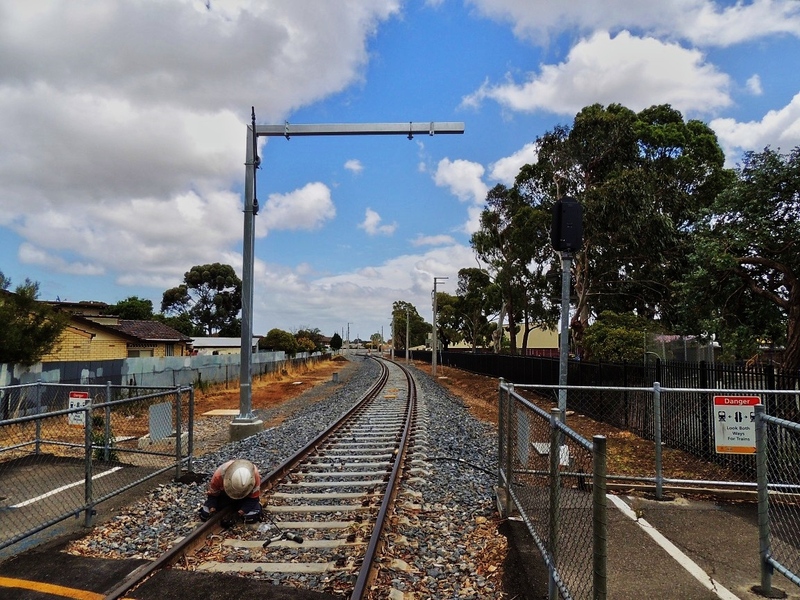 More useful and reliable information than DPTI can offer about the Tonsley line upgrade is available from this railway forum. 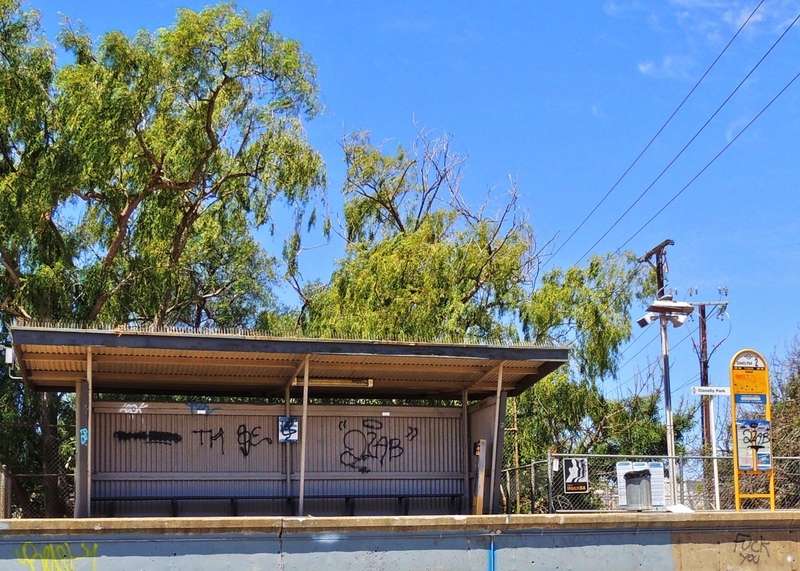 Due to funding cuts by the Liberal federal government, station upgrades, a new bus interchange and road extensions related to the project will not continue as previously announced. Flinders University have already started construction of a $120 million Tonsley building to house 2,000 students and 150 staff from 2015. Flinders' new six storey school of Computer Science, Mathematics and Engineering building is just north of the Main Assembly Building and will have a prominent position next to the town square planned for the former Mitsubishi site. It's a strategic expansion by Flinders University which offers the possibility of residential accommodation for students and staff, with access to a retail development nearby. 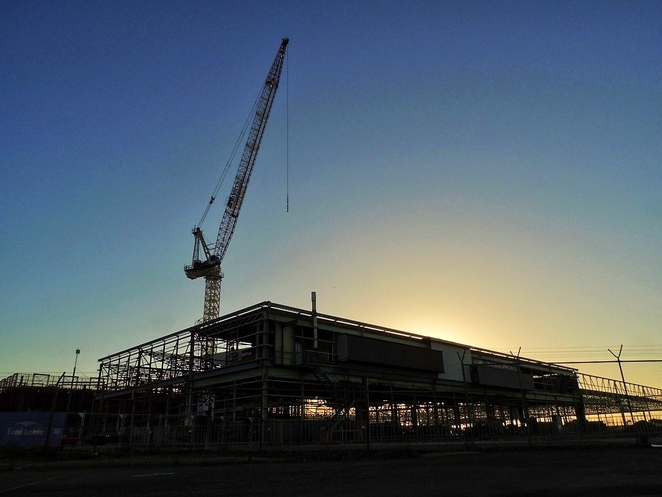 Renewal SA and DMITRE have been active throughout the Tonsley Development, paving the way for Tonsley to become a catalyst for new thinking, new industries and new business. Tier 5, a company specialising in innovative data centre services and consultation have announced that they will build a $113 million state-of-the-art energy-efficient data centre in early 2014. 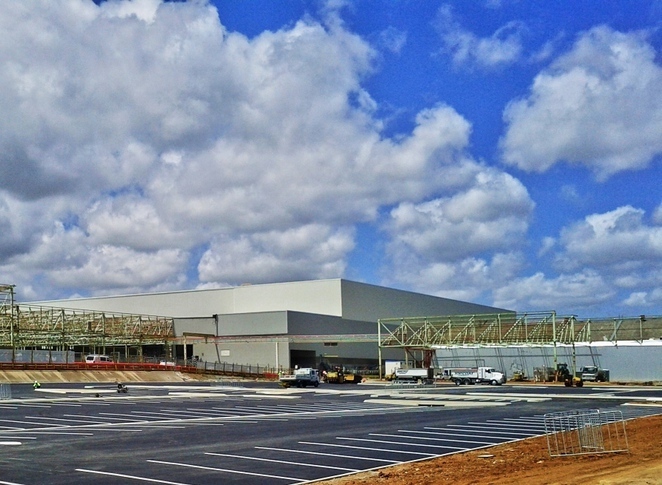 World renown electronics giant Siemens have announced their intention to establish a purpose-built and world-class maintenance and repair facility adjacent to the SIEC building with construction expected to commence in early 2014. 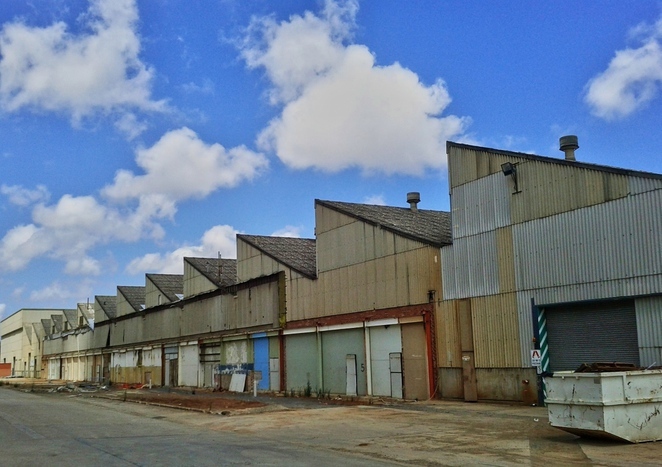 A large part of the Tonsley Development will become a retail and residential mixed-use precinct, and developers are being sought to undertake this. A Tonsley Town Square is to be located within the Main Assembly Building and will become the heart of Tonsley's social activity. 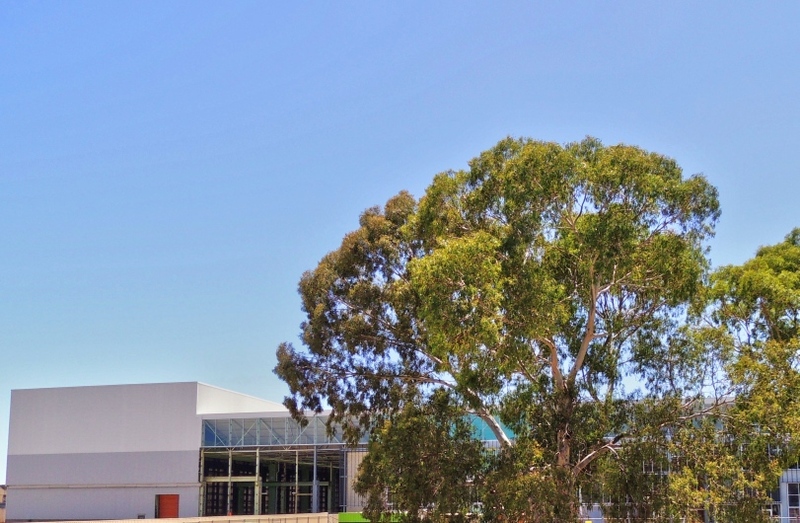 Parts of the retail facility will be operational by early 2015 to coincide with the opening of the Flinders University building. Successful retailers will join Funk coffee which is currently under construction and will open for business in early 2014. 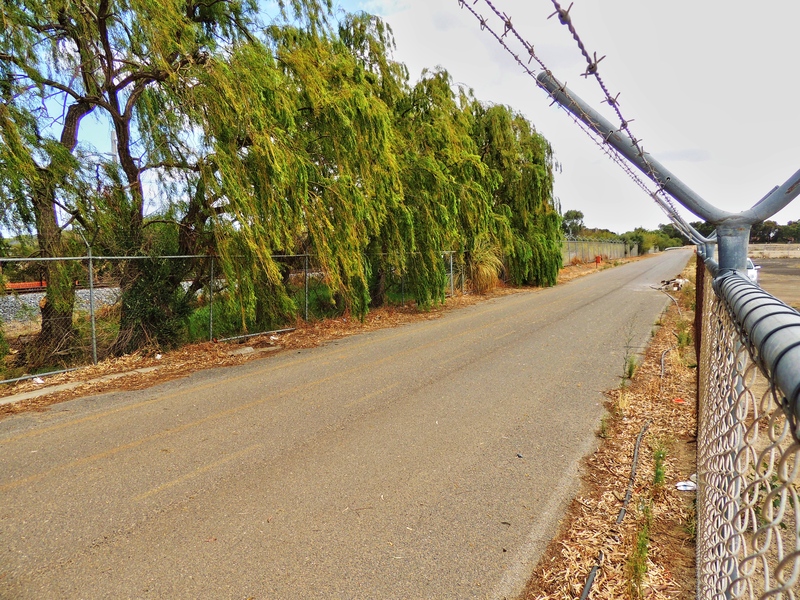 Some 11 hectares of space will be used for residential development in the north west corner of the Tonsley precinct. See here for a map of how the entire Tonsley Development is planned to be used. Much more background information about Tonsley can be found on this page. 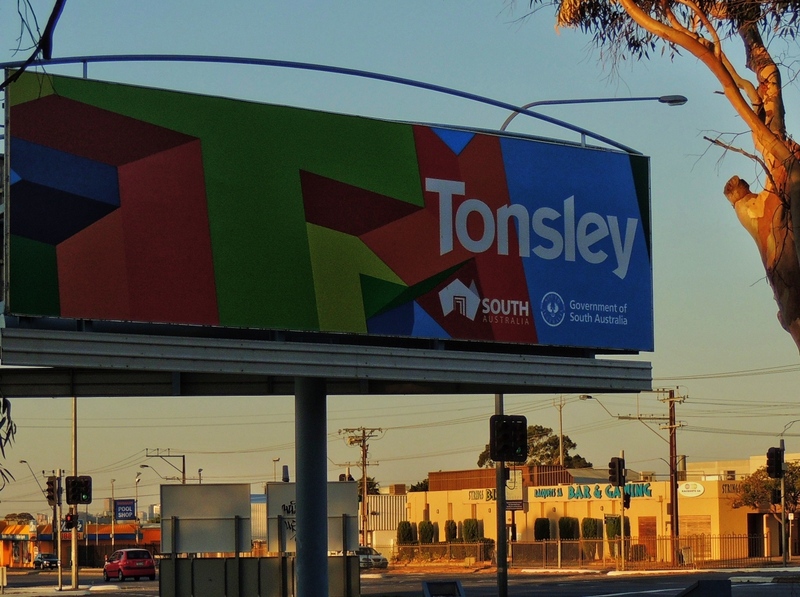 If you'd like to be involved with the Tonsley development community engagement, register here. Good work young man! Speaking of railways, has DPTI lined you up for an journalistic exclusive for your readers.... a familiarisation feature on the new electric trains? or are your fees too high? I worked at this site from the beginning and was there 2years doing demolition and civil. 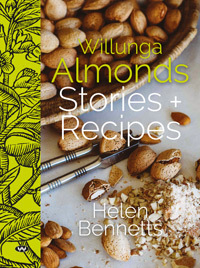 Just reading a new book called Willunga Almonds, Stories and recipes... it says that Charles Ragless also developed a machine to crack almonds. 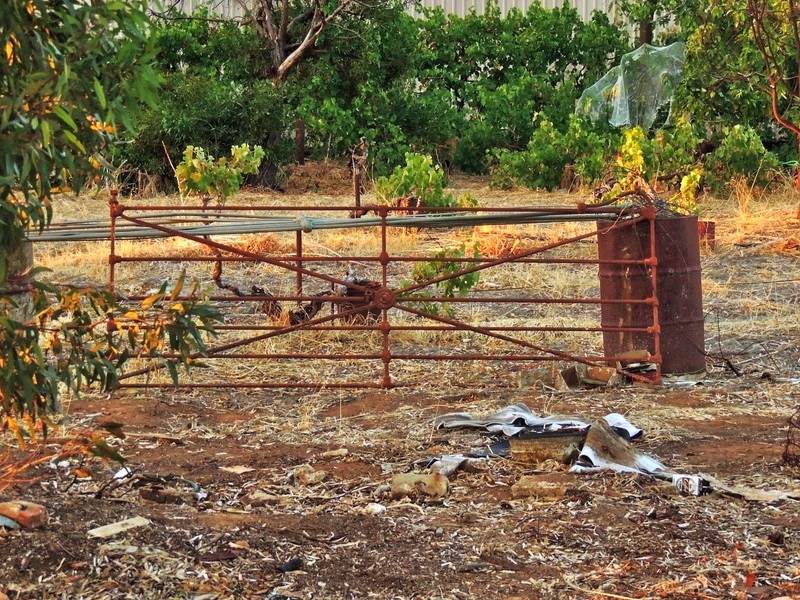 Apparently it was too expensive to import machinery for this from California, so (typical Aussie initiative) Ragless made his own and used it not only to crack his own almonds but also those on the surrounding farms.